China’s Market Crash – Because China’s market crash is being blamed as the reason for the global market declines, I figured that it would be a great place to start. Recently, China’s market fell apart. In fact, declines happened so fast that authorities made the decision to close the market early. Because China is one of the world’s largest economies, it only makes sense that a market crash in the region would lead to concerns around the world. Nonetheless, I disagree that this is the only reason we’re seeing declines in the global market place. Economic Conditions Around The World – As is natural to expect, economic conditions in any region tend to have an effect on the regions stock market. However, when global economic conditions are poor, just about every market around the globe is going to feel the pain. While this doesn’t seem to be a top story, it should be. The reality is that outside of China, there are several economies that are struggling. Europe, Japan, Brazil and others add up to the double digits! Poor economic conditions lead to poor market movement… no matter how you slice it. Oil Prices – Another major concern for investors is the value of oil. The reality is that oil plays a major role in just about any stock market. After all, oil’s value is the deciding factor with regard to profitability in the energy sector. Oil has been down for quite some time, leading to resistance, and ultimately, preparing for the decline that we’re seeing now. Valuations – Due to the years long bear market, valuations in the market are currently incredibly high. You know what they say… “What goes up must come down!” Believe it or not, this statement proves to be true in the market as well. Essentially, high valuations made it easier to cause a sell off. Based on the cause of the decline, I don’t think that what we’re looking at here is a short term trend. In fact, I’m expecting that what we’re seeing is the beginning of an overall bear market. The bottom line is that valuations will take a while to fall to reasonable levels. Not to mention oil prices and economic conditions around the world don’t seem to be getting much better. With all of that said, we can expect good days here and there, but the overall trend is likely to be downward for quite some time. Do you think we’re seeing the beginning of a bear market? Let us know your opinion in the comments below! 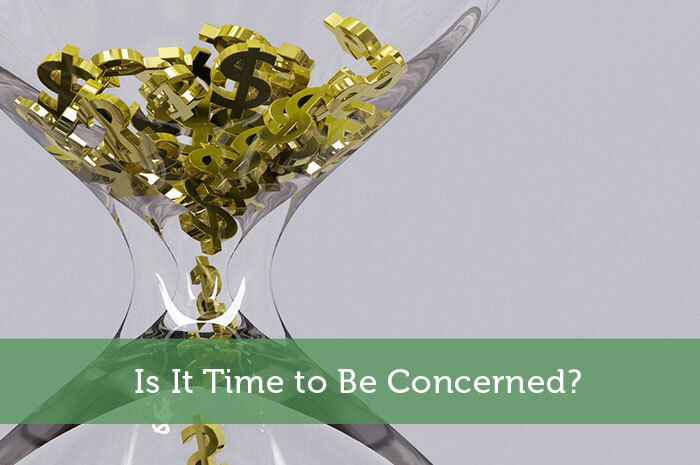 Is It Time to Be Concerned? As oil supplies become increasingly scarce and demand rises, oil prices are steadily increasing. This is one of the reasons why our economy is suffering recession.